On Friday, March 1st, Chicago IL's, The Orwells performed at Santos Party House in New York, NY. Additional photos are available on Impose Magazine and Flickr. Chelsea Wolfe performed at Music Hall of Williamsburg on Saturday, January 26, 2013 with King Dude and Starred. More photos are available on Impose and Flickr. Clint Conley of Boston, MA's legendary Mission of Burma performs at Brooklyn, NY's Music Hall of Williamsburg on Thursday, January 19, 2012. Additional photos from the show are available on Impose Magazine and Flickr. Xavier de Rosnay of French electronic duo Justice has his cigarette lit for him by a female audience member during Justice's DJ set at The Creators Project on Saturday, October 15, 2011. The Creators Project event featured films, art instillations plus musical performances from a range of acts including Justice, Florence and the Machine, A$AP Rocky, John Maus, Atlas Sound and more. Additional photos from the event are available on Flickr and Impose Magazine. Singer/guitarist Tom Gabel of the band Against Me! performs at Brooklyn, NY's House of Vans on Thursday, August 18, 2011. Additional photos from this show are available on Flickr, Impose Magazine and These Are Not Photographs. Ian Vanek, of the Brooklyn, NY band Japanther, performs at House of Vans in Brooklyn on Thursday, August 18th. 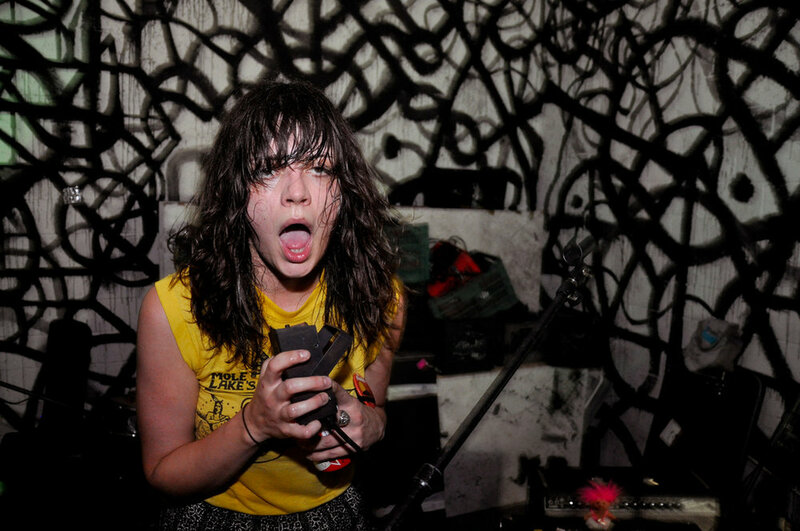 Julia Kugel of Atlanta, GA's The Coathangers performs on Friday, June 24, 2011 at Brooklyn, NY's 285 Kent. Additional pictures from the show are available on Flickr and Impose Magazine. John Dwyer of Thee Oh Sees performs at Brooklyn Bowl on Saturday, June 18, 2011. The show was a part of L Magazine's third annual Northside Festival. Additional pictures are available on Flickr and Impose Magazine. Polly Jean Harvey (a.k.a. PJ Harvey) performs with an autoharp on Tuesday, April 19, 2011 at Terminal 5 in New York, NY. This was the first night of a two night stand at the venue. She sold out both nights in support of her latest album, Let England Shake. Additional pictures are available Rollingstone.com. This was also the first time I took photos of her in almost 10 years. Mimi Galbierz, guitarist of Nashville, TN's Heavy Cream performs at Death by Audio on Saturday, April 2, 2011. Additional photos from the show are available on Flickr, Impose Magazine and New York Magazine's Vulture. Tim Harrington wears silver body paint and a furry coat during Les Savy Fav's encore on Wednesday, February 16, 2011. Additional photos from the show are available on Flickr and Impose Magazine. Neneh Cherry performs on Sunday, January 16, 2011 as a part of the Ari Up Punky Reggae Birthday Party, in honor of Ari Up (neé Ariane Forster) of The Slits who passed away in October 2010. 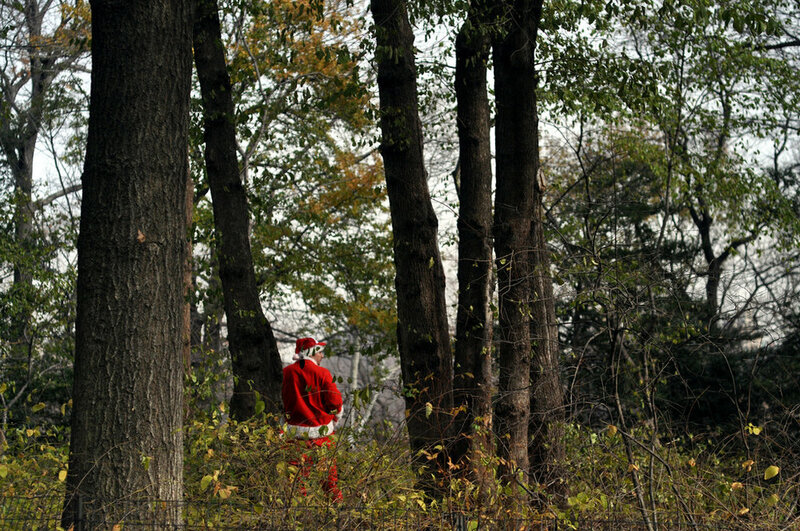 A Santacon participant stands in Central Park among trees on Saturday, December 11, 2010. A Santacon participant stands in Central Park among trees on Saturday, December 11, 2010. Additional photos from the event can be found on Flickr. Jonas Stein of Nashville, TN's Turbo Fruits lies on stage while playing guitar during his band's set at the Panache showcase at Knitting Factory on Saturday, October 23, 2010. Additional photos from the 2010 CMJ Music Marathon are available on Flickr. 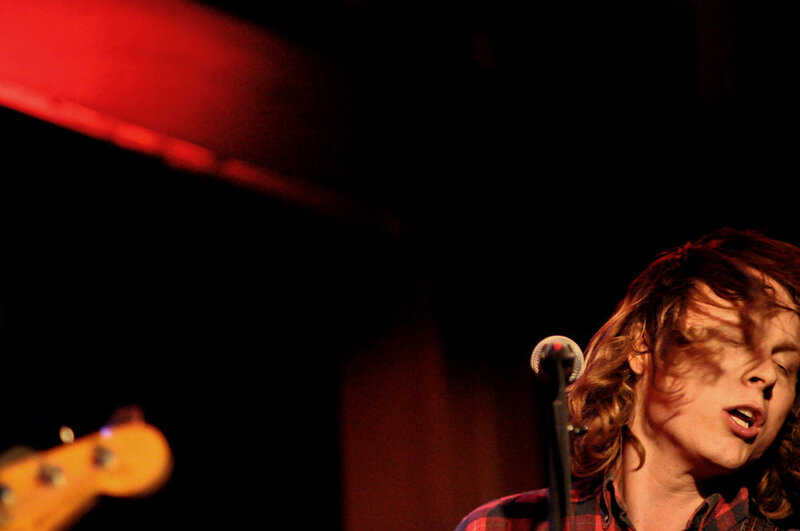 Musician Ty Segall performs on Friday, October 22, 2010 at Public Assembly in Brooklyn, NY. The performance was part of BrooklynVegan's CMJ showcase. Additional photos from the annual CMJ music marathon can be found on Flickr. Jah Jah of Brooklyn, NY rap group, Ninjasonik performs at S.O.B. 's in Manhattan on Tuesday, October 19, 2010. 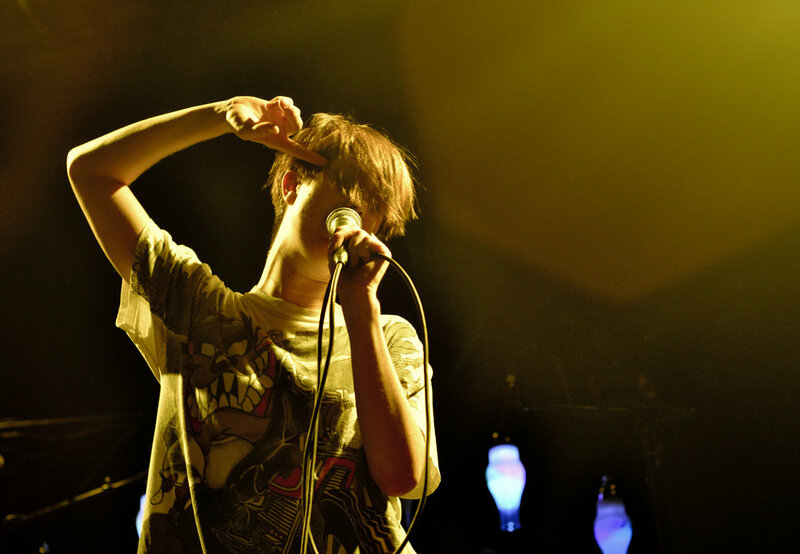 The performance was during the first night of CMJ Music Marathon. Additional photos from the first night on Flickr. David Gedge of The Wedding Present during the band's performance on Friday, August 13, 2010 at South Street Seaport. The show was the end of the 2010 season of Seaport Music Festival, a series of free concerts in downtown Manhattan. The Wedding Present performed their 1989 album Bizarro in its entirety. Additional photos from the concert are available on Flickr.